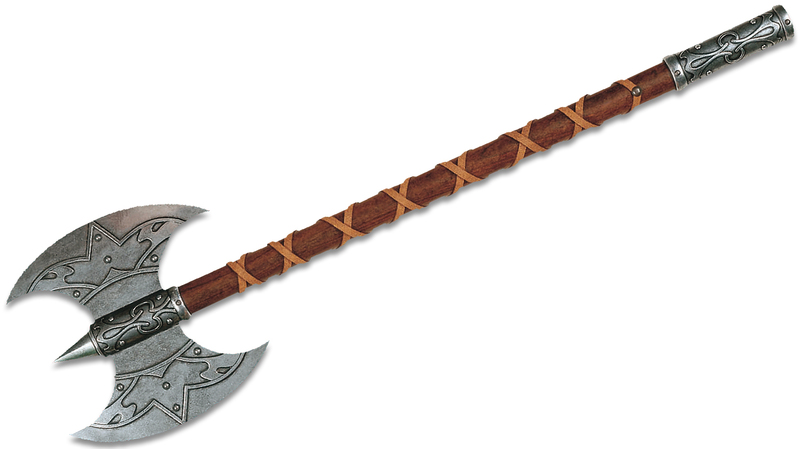 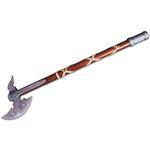 This fantasy axe is attributed to the Valkyries, legendary mystical warriors of Norse sagas who transported the souls of Vikings who died in battle to Valhalla, home of the gods. 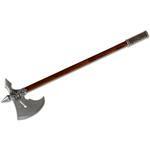 The 8" x 8" head is fitted to a 22.75" leather wrapped wooden handle that has a metal fitting. 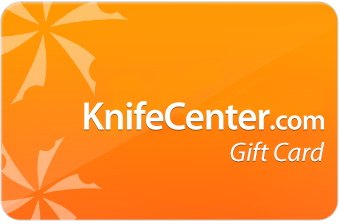 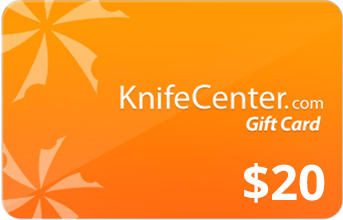 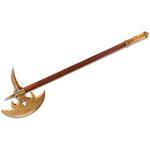 Hey, I wanted to share "Denix Reproduction Valkyrie's Battle Axe" with you from KnifeCenter.